The year 2017 has been all about bezel-less FullView displays with 18:9 aspect ratio and Chinese OEM’s like Vivo are not far behind catching up. 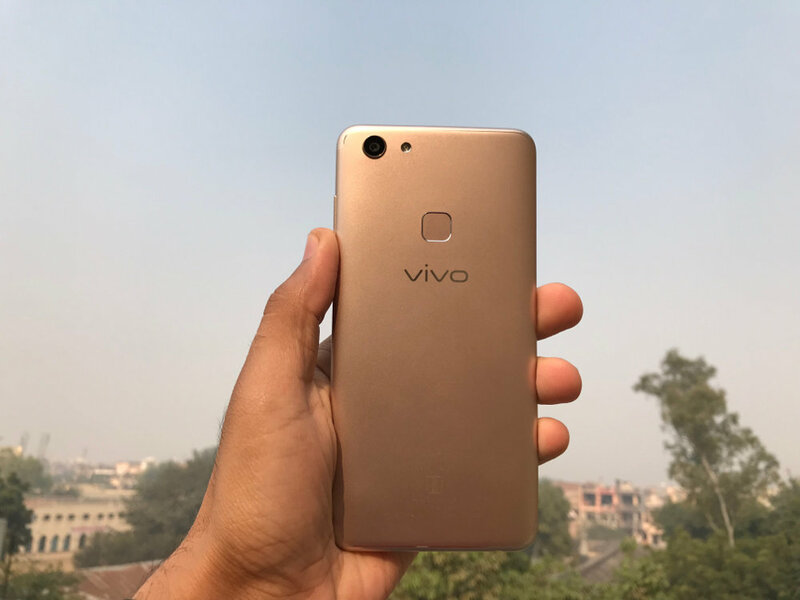 Vivo had already launched Vivo V7 Plus a few months ago and continuing the trend of FullView display and the highest megapixels count for the front camera, Vivo has launched the Vivo V7 in India. 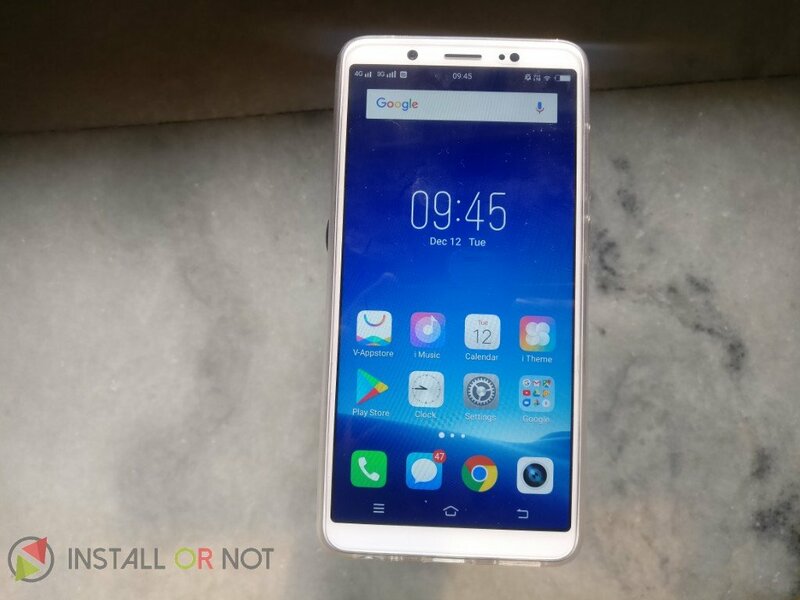 We have been using the device for over 2 weeks now and here is our comprehensive review of the Vivo V7. 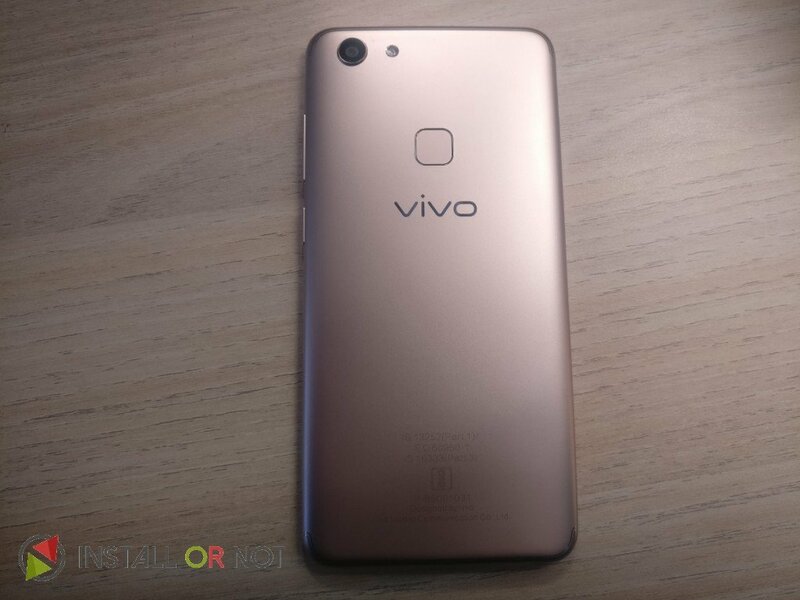 The Vivo V7 looks like a younger sibling of the Vivo V7 Plus and like its bigger brother, the device is all made of plastic. The device has tapered edges which makes the device comfortable to hold. 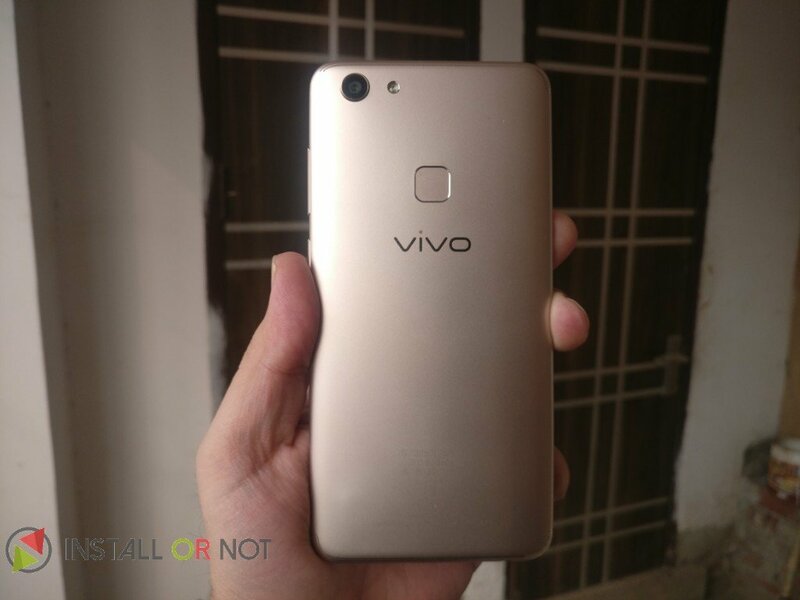 The device features a 5.7-inch IPS FullView display and this is the second device from Vivo that offers a FullView display with18:9 aspect ratio. The bezels on the front are pretty thin maintaining a screen to body ratio of 77.1% and the device just weighs 139 grams which make the device a perfect fit. On the left, there’s a single tray that houses two Nano sim card slots and microSD card. The inclusion of a microSD card slot might be underrated but its presence is highly appreciated. The 3.5mm headphones jack, micro-USB port and the mono speaker grille are all at the bottom of the phone. The volume rocker and power buttons are placed on the right. We also have an Unboxing + first impressions video live on our YouTube channel which can be watched below. 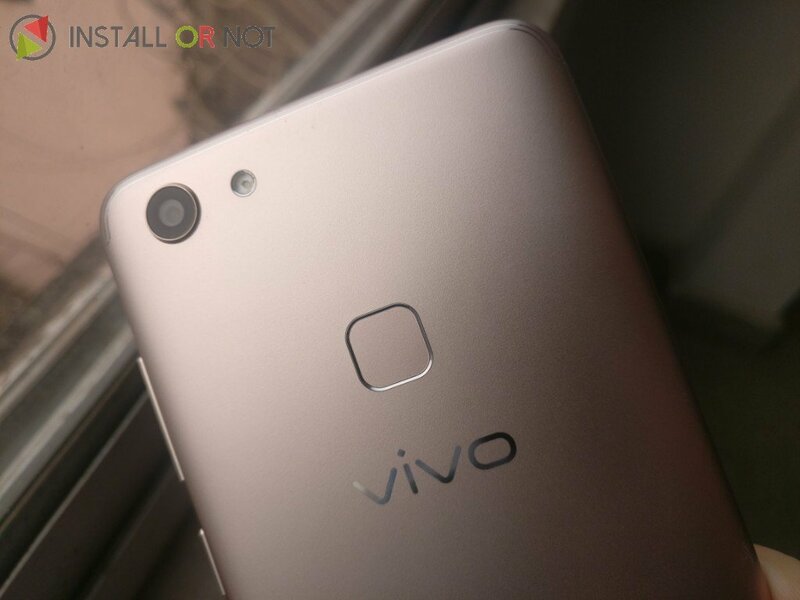 The Vivo V7 comes with an Octa-Core Snapdragon 450 processor, 4GB RAM, and 32GB internal storage. This hardware is enough to handle daily tasks and you can even expand the storage up to 256GB via microSD card. We never found the smartphone facing any hiccups or stutter during our testing phase. Playing graphic-intensive games was smooth at all times and we didn’t encounter any sort of frame drops while playing games like Asphalt 8 or Injustice 2. The handset comes with 3,000 mAh battery which lasts easily for an extensive day use. There’s no fast charging support but the battery does charge up quickly with the bundled adapter and we were able to get to around 65 percent charge in little more than an hour. The elongated 5.7-inch HD display follows the new FullView 18:9 aspect ratio and has a Corning Gorilla Glass 4 protection over the top. In our time with the device, we found the display even tough being a 720p display, it has vivid colours with great brightness. The display is great for a 720p display panel, but some colours seem washed out which doesn’t look natural. And it’s 2017 and not 2015, and its time Vivo should switch to a Full HD display panel. Another great feature this device houses is the Face Unlock, which Vivo didn’t market enough. The feature (when works) is fast and unlocks the device in less than 1 second. It is pretty seamless otherwise; however, your face needs to be detectable for the feature to work flawlessly. But its still a hit or a miss, and could be improved in future updates. 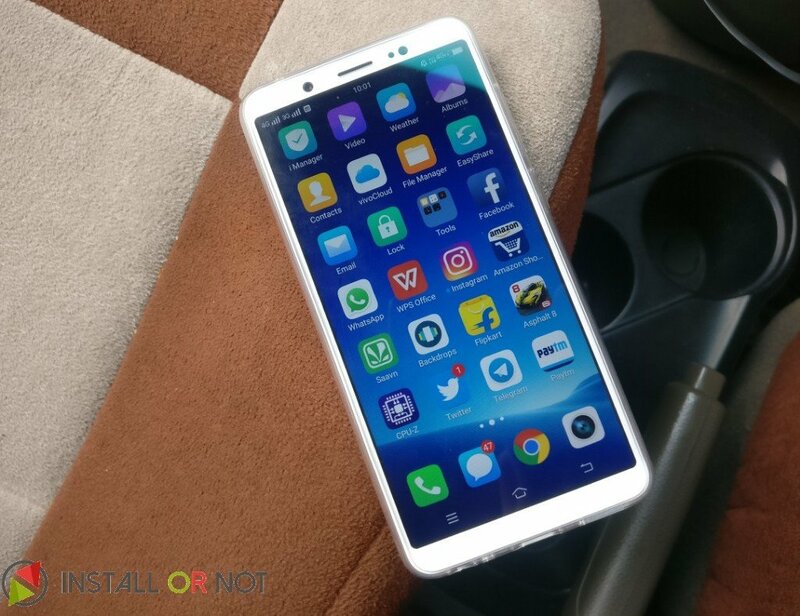 Overall, the performance of the Vivo V7 is great, the UI is snappy and the overall experience of the device is great. 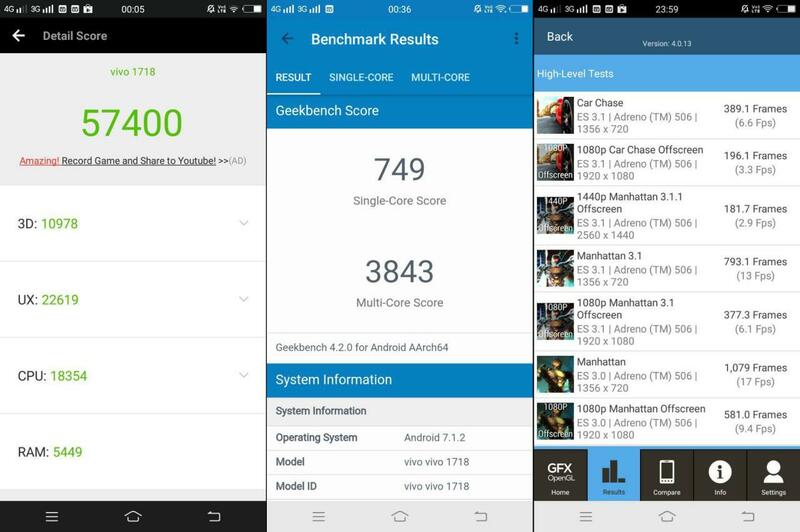 There might be other devices in the same price range running on Stock Android which might be snappier but the performance on Vivo V7 running on Funtouch OS 3.2 is no less than the competition. The main highlight of Vivo V7 is its front-facing selfie camera module, at least the camera specifications look good on paper. The device features a 24MP camera with f/2.0 aperture that features selfie portrait mode and supports HDR. The selfies captured with the front camera turn out to be bright and colourful in bright daylight conditions. The camera UI is pretty fast and responsive with almost zero shutter lag. The stock camera app features like Face beauty mode that offers options for buffing, skin tone correction, and whitening. The Group Selfie feature lets you take a mini-panorama so you can fit in more people into a shot. You can even use your voice or a hand gesture to trigger the camera. Talking about the portrait mode, which has become an industry standard these days for the rear camera but implementing portrait mode on the front camera is generally a hit or a miss and this device is no exception. The portrait mode on this device when works the portrait image turns out to be great but sometimes the camera fails to recognize the focussed object. The Vivo V7 also features a 16MP Front-facing camera with f/2.0 aperture (OmniVision OV16880 sensor) accompanied by a LED flash. The pictures captured with this module turned out to be bright with good details. In low light, noise is handled well but the details are on the softer side as there is no OIS present. There is also a professional mode in the camera which lets you adjust the ISO, white balance, EV, Shutter Speed, adjust focus manually and Zoom. The Vivo V7 is the most ergonomic device we’ve ever used that fits perfectly in hand and is easy to use although featuring a 5.7-inch FullView display. The main highlight of the device is its 24MP front camera but the device doesn’t make any groundbreaking innovation here and the the pictures captured from the front camera turn out to be just great. The software experience and performance might not be at par with the competition but the device holds well in a few areas. The device is priced at INR 18,990 for the 32GB variant and this puts it directly against the Honor 9i, Oppo F5, Moto X4 and Xiaomi Mi A1. The camera and battery are somewhat the standout features of this device. 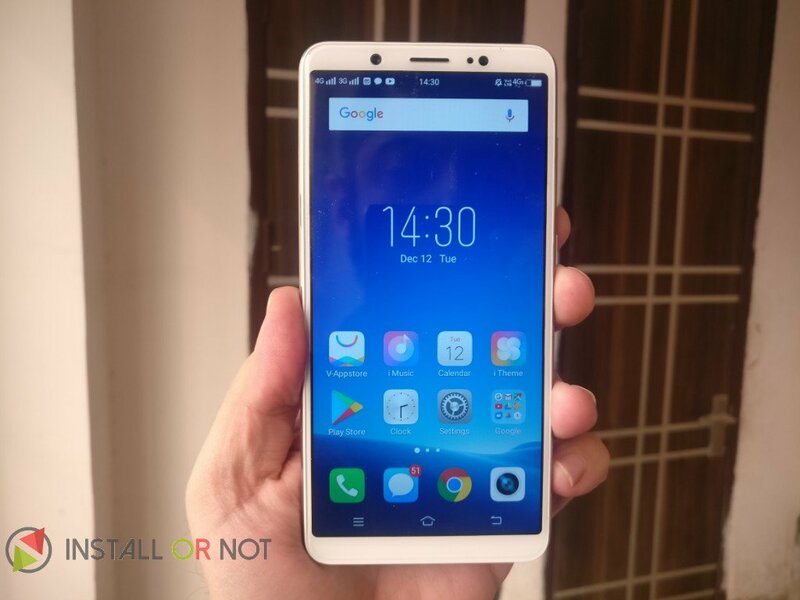 The competition is tough in this price range as Vivo V7 offers a bloated UI with an average battery life, where the Mi A1 offers a pure stock experience with a decent camera and good battery life. The Honor 9i excels in its display and has a decent camera and battery. The choice is tough in this price range, but if you want a device that fits perfectly in your hand, with a great front camera, decent performance and good battery life then you should definitely consider Vivo V7.